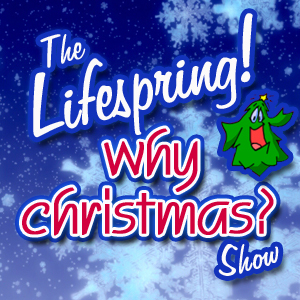 It’s Christmas Day, and Steve Webb and James Cooper wrap the third year of the Lifespring! Why Christmas show by reading about the birth of the Christ child. In addition, they have a bit of fun talking about their Christmas plans. Well it’s very nearly Christmas! For the last of our languages, we’re staying close to James in the UK to hear some Welsh, Scots and Gaelic. We’ll also be finding out about Christmas Pudding and Mince Pies and celebrating the new year in Scotland. Thanks to Mark Hunter from the Tartan Podcast for his message! Back to Europe today, where we’ll learn a bit of Christmas culture as celebrated in Italy! Steve Webb hosts this episode. We’re off on a long journey today, as we’re going down under to visit New Zealand. Find out how to say Merry Christmas in the Maori language and also how some of James’s cousin in New Zealand might celebrate Christmas – in the middle of their summer! Thank you to Sarah for how to say Merry Christmas in Maori. Today we’re going to hear about the presents that Jesus received as a baby and the people that gave them to him, the wise men or magi. Click here for the link to the online planetarium. Today we’re going to Belgium where are two official languages for us to try! We’ll also be finding out about some Christmas traditions in Belgium. Today, we hear how to say “Merry Christmas and Happy New Year” from Marina V, a Russian-born singer who is now an American citizen. Her website is here. In addition, we hear some Russian Christmas traditions, and hear an old Russian folk story. We’re off to Spain today where we will find out how to say Merry Christmas in three languages! We’ll also hear about Epiphany, a very important celebration in Spain. and Roy from James’ Church!